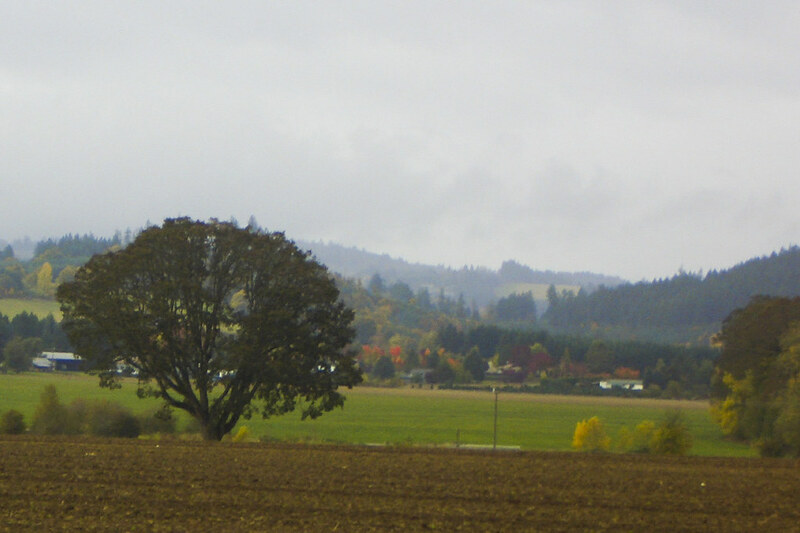 Hillsboro is a sprawling metropolis located in the Tualatin Valley, just west of Portland and Beaverton. Hillsboro truly has something for everyone, from a charming downtown commercial stretch with a farmers market and plenty of antique stores and restuarants to rolling hills of countryside dotted with vineyards and amazing views of the valley. Just 20 minutes outside of Downtown Portland, Hillsboro offers opportunities for business and pleasure. Making up part of the Silicon Forest, Hillsboro is home to many high-tech companies including one of the region's largest employers, Intel. No other place in Oregon best balances cutting edge technology with the vitality of a healthy agricultural sector, and the resulting real estate and business opportunities make the most of that two-fold identity. Hillsboro features a wide variety of entertainment opportunities, from movie theaters playing new releases and classic favorites - including the Venetian Theater downtown - and the Hillsboro Artists' Regional Theatre to the Hillsboro Symphony Orchestra to the Rice Northwest Museum of Rocks and Minerals. With great dining, shopping, parks, libraries, and schools, Hillsboro is the perfect place to raise a family and explore the best that the Northwest has to offer. Hillsboro was settled in the mid-1800's, and the area is named after David Hill, one of the original landholders of the region. One of the first industries in Hillsboro was transportation management along the Tualatin River, first including steam boats and ferries and later expanding to railways and eventually highways connecting Washington County to the Portland metropolitan area. 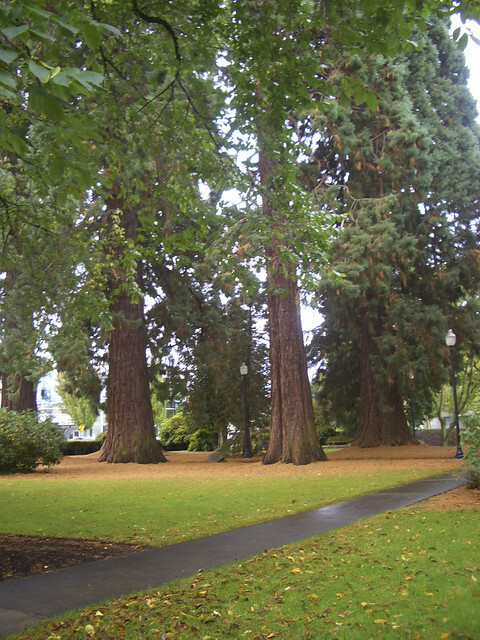 Hillsboro was incorporated as the Town of Hillsboro on October 19, 1876, by the Oregon state government. Hillsboro is home to a beautiful courthouse serving as the legislative seat of Washington County, originally built in 1852, remodeled in 1873, 1891, 1912, and finally in 1928, when the brick courthouse took on its present-day shape, complete with columns and a courtyard stately sequoia trees. From 1921 to the 1950's, the world's second-tallest radio tower stood on the south side of Hillsboro, but was demolished in 1952. Hillsboro is located in Eastern Washington County in the Tualatin Valley - the Tualatin River forms part of the city's southern border - located immediately west of Beaverton and 17 miles away from downtown Portland. 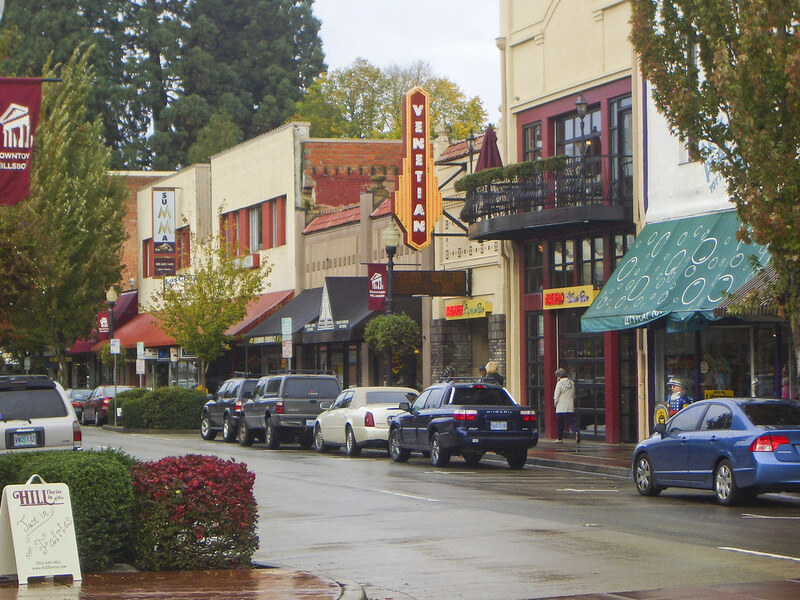 Hillsboro is divided into 8 planning districts, each containing a variety of neighborhoods. 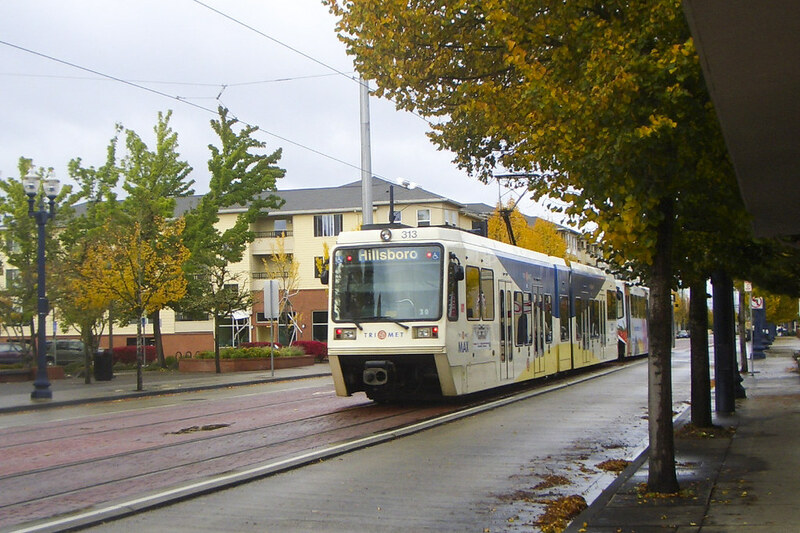 Several large districts include Tanasbourse - home to OHSU's west campus - Orenco, West Union, Jackson School, Glencoe, Reedville, Downtown Hillsboro, Jackson Bottom, and the largely agricultural neighborhoods of Minter Bridge, Rood Bridge, and River Road. Hillsboro is home to several creeks and wildlife areas including Dairy Creek, McKay Creek, Rock Creek, Dawson Creek, and Turner Creek. Hillsboro is surrounded by other vibrant suburban communities, including Aloha, Cornelius, North Plains, Reedville, Scholls, and West Union. If you're interested in Hillsboro Real Estate, land and homes for sale in Hillsboro, or have any questions about relocating to Portland and Portland area suburbs, don't hesitate to contact the McDonald Group Realtors, your guide to Hillsboro Real Estate. Public schools in Hillsboro are operated by the Hillsboro School District. The district is a unified school district with twenty-three elementary schools, four middle schools, and four high schools. The district also operates the Miller Education Center, an alternative school, the Hare Field athletic complex, and City View Charter School. The school district covers Hillsboro, Scholls, Reedville, North Plains, West Union, and other surrounding communities. Hillsboro's Department of Parks and Recreation oversees more than 23 parks, the Hillsboro Stadium, Shute Park Aquatic center, and Jackson Bottom Wetlands Preserve along the Tualatin River. Local golf courses include the 27-hole Meriwether National Golf Course and the 36-hole Reserve Vineyards and Gold Club. Hillsboro is home to two Farmers' Markets, one downtown on Saturdays and one in Orenco Station on Sundays from May to October, providing the best of the area's many fruits and vegetables to Hillsboro residents, as well as artisan food products, plants, prepared foods, arts and music. Throughout Summer, the Hillsboro Market takes place on Tuesdays in downtown, a festival of arts and crafts featuring works by local artists and craftsman. Hillsboro's annual Fourth of July Parade is the second-largest Independence Day parade in Oregon, drawing large crowds and great costumes from the whole community. The Hillsboro Airport is home to the Oregon International Airshow each summer, the Washington County Fair is held each year at the county fairgrounds next to the airport, and Shute Park hosts summertime concert series Showtime at Shute. The Candy Basket: 248 E Main St Hillsboro, OR 97123 This classic candy shoppe will take you back to the days of buying penny chocolates and large jars of sour gummies. Find some rare candy treats, order candy by the pound, and browse the extensive collection of gifts. 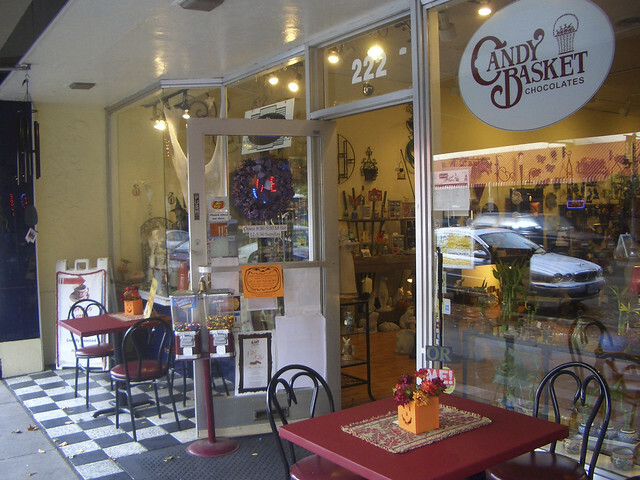 This place is sure to satisfy your sweet tooth, located in the heart of Downtown Hillsboro. Cedar Hills Crossing: 3415 SW Cedar Hills Blvd. Beaverton, OR 97005 (503) 228-4651: This mall has all of your typical clothing stores, boutiques, department stores, and restaurants, with one major difference: a Powell's Bookstore. If you've been to the Downtown Portland Powells, get ready to have a slightly smaller City of Books close to your Hillsboro home! In my opinion, the Cedar Hills Powell's is better organized, and hosts some of the best author events. If you're tired of big box bookstores and Starbucks, check out the Powell's at CHC, with its independent coffee shop and amazing selection of new and used books. It's a local institution! Heveltia Tavern - 10275 NW Helvetia Rd. Hillsboro, OR 97124 - Known for serving some of the best traditional burgers in the Portland Area, Helvetia (pronounced hel-VAY-sha) draws burger lovers by the thousands to their country spot. Get the Jumbo burger, and on nice days, dine on the back patio. Walk through the no-minors part of the tavern to get there after placing your order at the bar. Yum! Syun Izakaya - 209 NE Lincoln St Hillsboro, OR 97124 - Rated one of the top Japanese restaurants in America by Zagat Survey, one of The Oregonian's top 100 restaurants, and featured in Bon Appetit Magazine, this is the premiere Japanese and sushi restaurant in Washington County. Located in the old library building in downtown Hillsboro, the quaint atmosphere will surround you with a relaxing and comfortable environment to enjoy one of the delicious lunch specials, award-winning dinner entrees, or the extensive sake menu. Cornelius Pass Road House: 4045 NW Cornelius Pass Rd. Hillsboro, OR 97124 - This former six-acre farmstead is today a colorful oasis, part of the McMenamins family of restaurants and breweries, with buildings and barns that date to the mid-1850s. 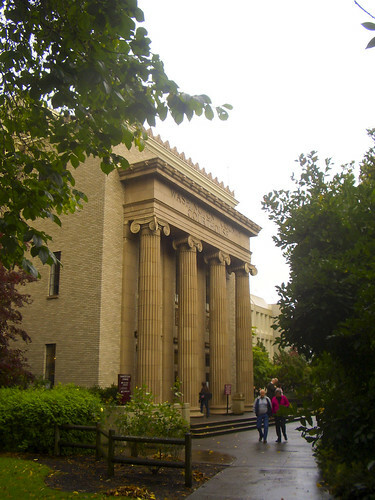 Here you'll also find one of McMenamins' top-producing breweries, and the modern-day Imbrie Hall Pub (built from the timbers of Portland's historic Henry Weinhards brewery). You may also enjoy the cozy wee bar known as the Little White Shed, along with plenty of outdoor summer seating. Insomnia Coffee Company: 5389 W Baseline Rd. Hillsboro, OR 97123 - A true community spot, the owners of this wonderful coffee shop built this home-away-from-home themselves from the ground up, painting the walls, installing the pine flooring, and gathering furniture and equipment. You'll love this relaxing and familiar environment while enjoying the best espresso, brewed coffee or brewed tea and pastries in town.